Before learning to drive a car, motorcycle or moped in the UK you must apply for a Provisional UK Driving licence. 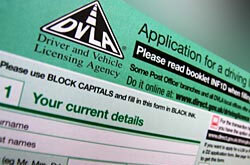 This is administered by the Driving and Vehicle Licensing Agency (DVLA). 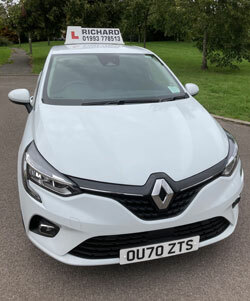 You have to be a minimum age of 17 years old to drive a car or van in the UK, and until you have passed all the qualification tests for learning to drive, there are some restrictions i.e. The car you drive must display L-Plates on the front and rear. You must be accompanied by a driver of at least 21 years of age, and who has held a licence for that vehicle category type for a least three years. You are not allowed on Motorways. Your licence is valid until your reach 70 years old. It can then be renewed every three years. You must inform the DVLA if you suffer from a medical or optical condition that affects your ability to drive. More information can be found by clicking here. If you successfully pass your Practical Driving Test the examiner will present you with a pass certificate. He will then take your Provisional Licence from you and send it away to the DVLA to be exchanged for a Full UK Driving Licence.